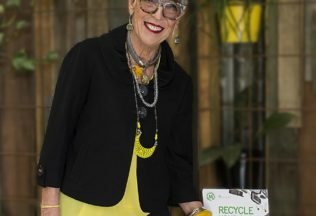 Non-for-profit’s OzHarvest and MobileMuster are teaming up to encourage Australians to recycle their old mobiles for more than one good cause. The two charities are partnering to relaunch their ‘Mobile for a Meal’ campaign which will see a meal donated to an Australian in need for every old mobile recycled with MobileMuster this summer. Australians interested in donating an old mobile can visit https://www.mobilemuster.com.au/ and find their nearest drop-off point. There is over 3, 500 public collection points across Australia. Spyro Kalos, Recycling Manager at MobileMuster, said the campaign is certainly a win-win situation. “It is one of those beautiful win-win situations where no one wants these old phones – you can’t use them, or sell them – they are quite literally useless, but if we recycle them over 99 per cent of the material can go back into making new products,” Kalos said.